Intermission, ft. Baby’s First Archive Trip! As promised, today I’m rehashing my first archive visit! After completing one successful visit, I am clearly an authority on how to do this (please, please read the sarcasm), so if you need a step by step tutorial, you’ve come to the right place! Step 1: Have a vague (or specific) idea of what you’re looking for; find an archive that has this vague/specific material– or something closely related. DO: Ask your professors for leads on archives, archivists who specialize in your topic, universities that have certain collections. DON’T: Assume the only archive you know about has what you’re looking for. All I knew when I was starting out was that I wanted to find an archive that had the July 1966 Fantastic Four issue no. 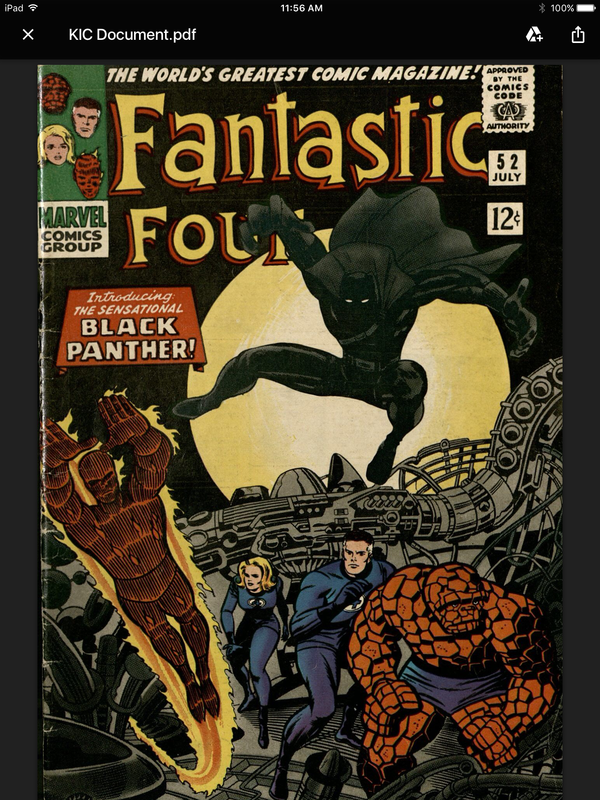 52, which featured the introduction of Black Panther. 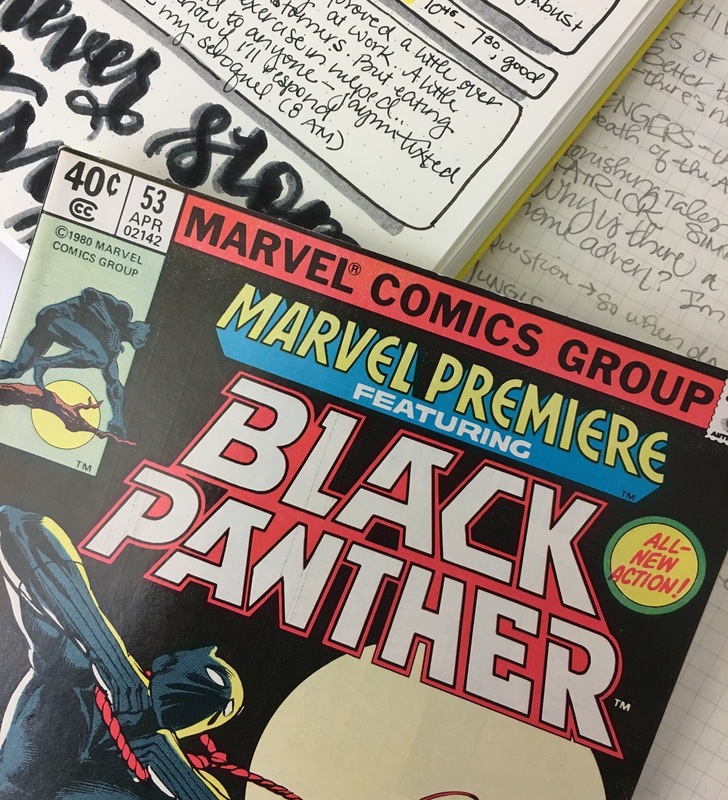 I really wanted to read Stan Lee’s Soapbox Letters and the Letters from the Bullpen in the early Black Panther comics to see what the discourse around the character was. Everything I’d been using up until yesterday had been a reprint and thus all of the fun extra pages from the originals were absent. One of my professors gave me a lead on a comic archive in Michigan, but as I’d assumed I’d find something in the National Archive, I didn’t apply for summer research money, thinking I’d just have a jaunt up to D.C. and return with everything I needed. When I finally had time to scour the archives a few weeks ago, I came up empty handed and started to panic. DO: Go through the archive and have a list of things you’d like to see. DON’T: Worry about getting everything perfect the first time. Be honest about where you are in your researching journey. Working with Cindy was fantastic. She promptly replied to emails, was happy to pull additional sources for me that I hadn’t listed, but felt I might enjoy, and was generally outstanding in her knowledge of comics and comic scholars. I knew when we both agreed that Tim Hanley’s Wonder Woman Unbound was a better Wonder Woman history than Jill Lepore’s The Secret Life of Wonder Woman that I was in good hands. DO: Have a date in mind, but be flexible. It may take time for the archivist to gather your materials. DON’T: Over do it. Don’t ask to see 300 sources when you know you’re only going to be visiting for a day. Cindy gave me a general set of guidelines for what to expect when I got to the archive– she’d pull a set of things for me, but I’d be able to take about 5 into the reading room at a time; there was a scanner but I was able to bring in electronics and a camera if necessary; and she recommended I bring a jump drive, as it’d be a little easier than trying to e-mail myself a zillion pages of comics. DON’T: Forget your camera battery. I forgot my camera battery. I left it in the wall, charging. It wasn’t really that big of a deal because I had my jump drive and was able to scan everything I needed, but I was mostly just annoyed that I’d done all that prep and even ran back into the apartment for snacks and an additional phone and iPad charger— but still forgot the camera battery. Had the camera. Forgot the battery. DO: Blast hype music in the car and sing loudly during the hour I spent on 64 traveling to Richmond. Nevertheless, I was only moderately behind schedule and was ready to head into my latest adventure. DO: Introduce yourself! Explain your project! But also listen to the archivist– they’ll give you valuable information about the archive, the sources they’ve rounded up for you, and any special directions/protocol to follow while working in the reading room. As I’ve mentioned, Cindy was an invaluable resource. 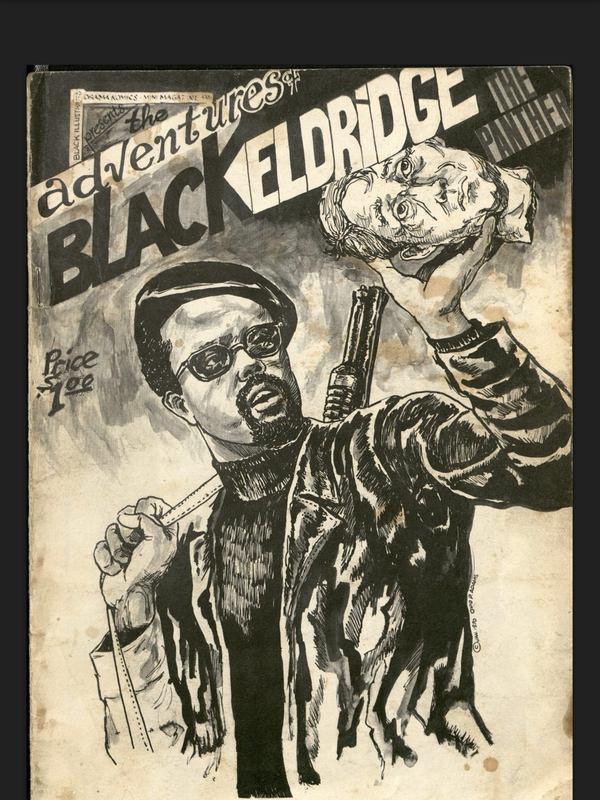 She pulled a bunch of really awesome comics for me, including one really neat one that was an actual “Black Panther” comic (like the Oakland, CA/Black beret/10 Point Program Panthers), featuring a brother named “Eldridge.” (See below) How sway. She also let me know about cool things they do, like an annual comic sale! Once we were done chatting, I selected my first five comics and headed into the reading room with my iPad, phone, binder, jumpdrive, charger, and pencil. DO: Take a look to see what treasures you’ve uncovered! DON’T: Spend all day just looking. Start scanning so you can pour over them from the comfort of your home. My goal was to get everything Cindy had pulled for me scanned and on my jump drive so I could look at everything carefully when I got home. If any of the fan letters stuck out to me. After I got into a rhythm, it didn’t take me long to move on through the issues. Step 8: Take a break! Eat! Drink! Be Merry! DO: Move your car if it’s in two hour parking. Fortunately, there was a full service Starbucks on the first floor of the library, so I met up with my aforementioned friend and we passed an amicable lunch hour together, getting caught up and filling each other in on our respective pursuits. It was only appropriate that the (future) Drs. 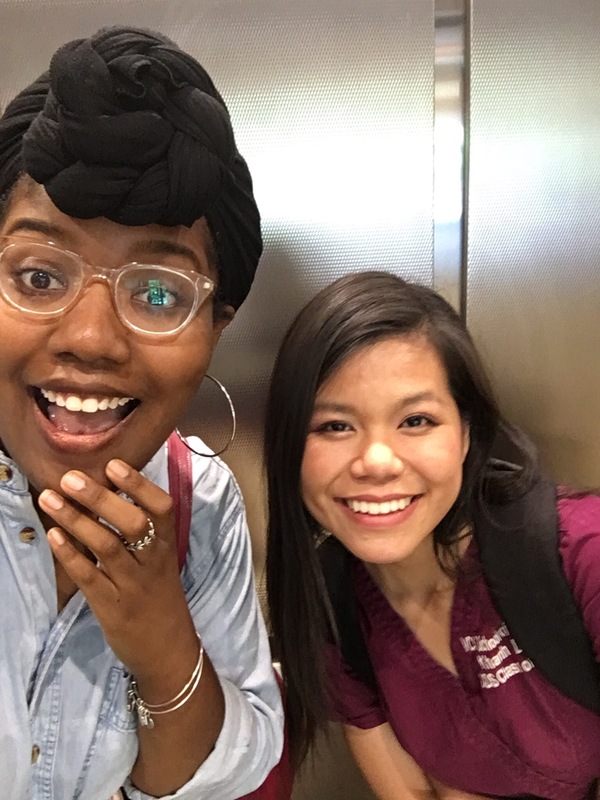 Stringfield and Dao ran into each other at a library where we were both trying to do work. DO: Make sure to get business cards before you leave! DON’T: Leave the room a mess. Make sure it looks the same as it did when you came in. I spent the rest of the afternoon scanning more issues and chatting with one of the other archivists, who was pleasant and interested in my project. Before long, I had scanned everything I needed and I tried to use the scanner to see if my scans were being saved on the jump drive properly. It took a while, but I managed to figure it out and I saw about 2 dozen folders on my jump drive, so I figured they’d stuck. I spent a few minutes writing about the most interesting things I’d seen during the day and what I might like to see if I came again. I returned everything to its proper place in the reading room and returned the rest of my issues to the archivist on duty, making sure they were placed back correctly in their plastic. I made sure to grab one of Cindy’s cards so I could e-mail her and thank her, as she’d been gone when I was leaving. For some reason, I’d imagined archive work to be dreary and miserable, but I had passed a remarkably pleasant day, wading through first editions of comics in a bright, newly constructed facility, with enthusiastic and knowledge archivists ready to help me, if I said the word. I was satisfied knowing that I’d found a resource so close to home that I might be able to use not only for my Masters thesis, but for my dissertation as well. Step 10: Carefully review your new found collection of sources. I’ll be sure to let you all know what treasures I’ve uncovered when I’m done wading through all my sources! 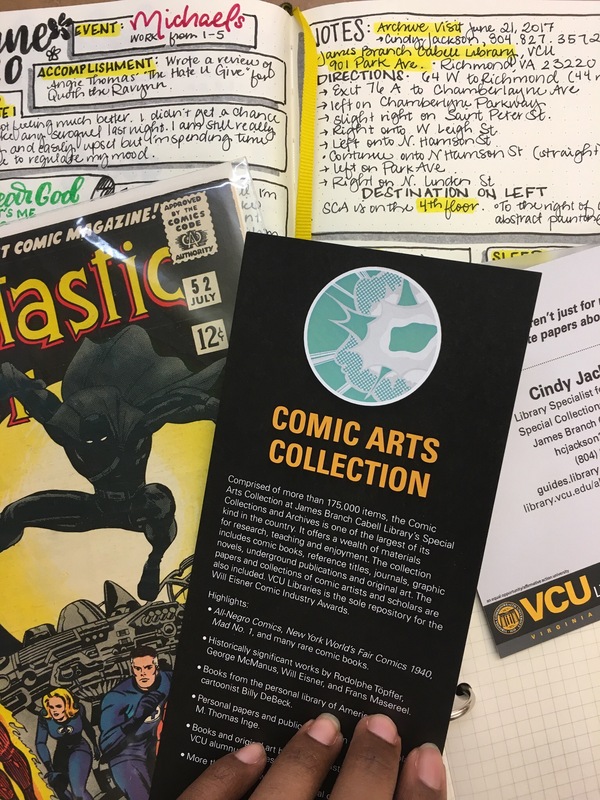 If you’re interested in comic studies and happen to be in the Virginia/DMV area, be sure to give Cindy and the Comic Arts Collection a visit in VCU’s James Branch Cabell Library.